By now, just about every bar and restaurant has adopted a POS system as part of their operations. The time savings and other benefits associated with automation make using a POS system a no-brainer. However, it’s important to understand that you need to program your POS system properly in order to get the most out of these benefits. Otherwise, you may be sacrificing valuable profits. Let’s look at a common way many bars are losing money due to a poorly programmed POS system. 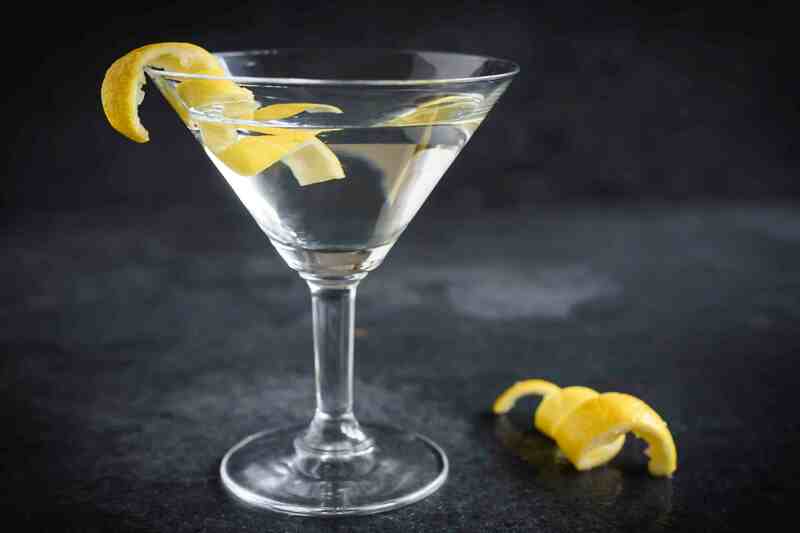 If a customer orders a martini or a double, it is typically the cheapest way to consume their desired liquor. While the alcohol in the double or martini is most likely priced correctly, most bars often undercharge for modifiers, which makes these drinks a relative bargain. In most situations, a martini consists of a double pour. Sometimes it may be even larger than a double when bars use very large martini glasses that require more than a double pour to adequately fill the glass. Unless the martini modifier properly addresses the proper upcharge based on the amount and type of liquor you are using, your customers may be getting a screaming deal on their cocktail, especially when they order it with premium liquor. Similarly, the “double” modifier is typically a fixed price at most bars. If you order a high-end liquor, the upcharge for a double will often be significantly cheaper than a second serving of the alcohol would cost if they ordered two regular priced drinks. In order to avoid losing money on these drinks, it’s important to set up your modifiers in a way that every drink has its own unique upcharge based on the type of liquor being used. According to the POS service provider Toast, the average restaurant profitability is 3-5% of sales. This relatively low profit margin means that you need to be very conscious of the way you price your drinks in order to maximize your profitability. When you lose money due to poorly programmed POS modifiers, you are significantly hurting your bottom line. Many bars adopt a lazy POS setup by having generic “well,” “call” and “premium” modifier buttons. In this situation, it’s up to your bartenders to figure out which button to use for each type of liquor being poured. In some situations, this may be relatively easy, such as when a customer doesn’t specific a specific liquor in their drink and the bartender pours the well bottle. However, there are many situations where it may be unclear whether a particular liquor falls in the “call” or “premium” category. By using these generic modifiers, you run the risk of your bartenders using the incorrect one, and it is likely that different bartenders may use different buttons for the same product. The problem with using generic modifiers such as “rocks,” “martini” or “double” is that these buttons will tell you what to pour, but they won’t do a good job at charging the proper price for a specific drink. These generic modifier buttons add a fixed charge to the drink regardless of how much the liquor being used actually costs. This allows customers to receive high end drinks at cheaper prices due to a fixed upcharge that typically is priced for lower end products. For example, if you charge $1.50 for a “rocks” modifier, that may be the correct amount to upcharge for a well drink. When this generic “rocks” modifier is used for a call or premium drink, you will end up leaving money on the table since these cocktails should receive a larger upcharge than a well drink would. In addition, the use of generic modifier buttons fails to tell you precisely what was sold. When you run your sales report at the end of the inventory period, you’ll see that the “double” modifier was used 100 times, but you won’t know how many times it was used with Grey Goose vs. Tito’s vs. well vodka. This prevents you from having the ability to know specifically how many ounces of each item was poured, which makes it hard to get accurate inventory results. One of the greatest benefits of using Bar-i’s inventory system is that we compare precisely what was poured to what was sold. By calculating your usage down to the serving, we are able to tell you which specific products are underperforming and provide you with recommendations to help correct the issue. However, the lack of accuracy provided by generic modifiers will make it impossible for us to provide you with the actionable data you need to improve the profitability of underperforming products. 2-Touch Solution – Some POS systems allow you to turn on a setting that shows you how many times a modifier was used with a specific button. This will help you more accurately track how much of each product should have been poured during an inventory cycle. Sometimes, this option will also allow you to set the upcharge on these modifiers as a specific percentage of the original button, which will ensure you’re receiving the right upcharge for each product being poured. If your POS system offers this option, it provides the cleanest and easiest way to reprogram your POS. One Drink, One Button – If your POS system doesn’t offer the 2-touch option, you will need to program a specific POS button for every drink you serve at your bar. This involves creating separate “double” screens and “double” buttons. When a customer orders a double Grey Goose and tonic, it would allow your bartender to go to the “double” screen and press the “double Grey Goose” button, ensuring that there is a proper upcharge based on the price you charge for this specific product. This will add a lot of buttons to your POS system. You may end up with 4-5 buttons for every product you serve. 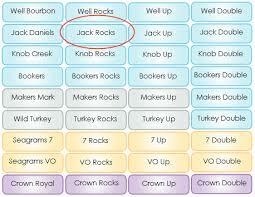 For each type of liquor, you would potentially have a “rocks” button, a “shot” button, a “double” button, a “martini” button and a regular cocktail button. While this makes your POS more complex, you can still program your system in a way that allows every drink to be run in with no more than 3 button presses so that it won’t slow down your bartenders during a busy rush. Bar-i can show you how to do this during your free consultation. How Much Money are You Actually Losing when You Fail to Program Your POS Properly? The benefits you will receive from taking the time to program these specific modifier buttons will depend on the modifier usage at your bar. There is often a big variance in this usage at a martini bar compared with a regular neighborhood bar. Martini bars and other establishments that do a high sales volume of high-end liquor will stand to earn a lot more money by programming specific modifier buttons, while regular neighborhood bars may see more of an incremental boost in their profits. If you’re using a generic “rocks” modifier that provides a $1.50 upcharge, you are losing $1.50 in pure profit every time you serve a Grey Goose cocktail on the rocks. Over time, this can add up to a significant amount of lost profits. For drinks such as doubles and martinis which have an even larger pour size, the financial loss can be significantly larger. The other issue associated with a poorly programmed POS system is a little harder to quantify. The use of generic modifiers takes away your ability to precisely know how much of each product was sold, which prevents you from doing Level 3 liquor inventory. This will ultimately make it much more challenging to use your inventory efforts to lower your liquor cost and improve your profitability. When bars are able to do Level 3 inventory (product-level inventory reporting), it allows them to actively manage their accountability. We typically see our clients experience a 3% reduction in liquor cost when they use our recommendations to improve accountability. A bar doing a relatively moderate sales volume of $80,000 per month would experience a monthly profit boost of $2,400 from lowering their liquor cost by 3%. Over the course of a year, this would increase your profits by $28,800. These figures would obviously need to be adjusted based on your specific monthly sales volume. Bar-i provides the expertise to fix this problem in order to ensure your POS system is programmed in a manner that will charge the proper amount for each drink and provide you with the actionable data necessary to lower your liquor cost and maximize profitability. We provide free consultations to prospective clients as well as ongoing free consulting services for our pro-version clients to help you manage this process properly. If you’d like to learn more about how Bar-i, can help you streamline your operations and maximize profits, please contact us today to schedule your free consultation. We serve bars and restaurants nationwide from our offices in Denver, Colorado.